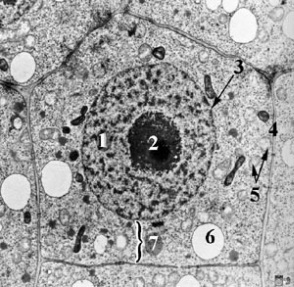 Transmission electron microscopy view of a maize cell: nucleus  with nucleolus - Alejandro Farías, Gladys Noemí Hermida, and Luisa Eleonora Fiorito . (2003). Biocell. Available: http://www.scielo.org.ar/scielo.php?pid=S0327-95452003000100003&script=sci_arttext. Last accessed 10 March 2012. Simple Diagram Nucleus. Available: http://micro.magnet.fsu.edu/. Last accessed 10 March 2012. . The nucleus is the major characteristic of all Eukaryotic cells. The nucleus is formed by a porous (nuclear pores) double membrane called the nuclear membrane or envelope. This nucleur envelope is connected to the Rough EndoPlasmic Reticulum with inturn has ribosomes attached to it. 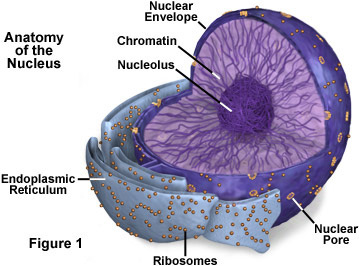 On the side side of the nuclear envelope we find the neleoplasm that contains Chromatin (tightly packed DNA) and the Nucleolous, whose main fuction is to produce ribosomes with its RNA. The nucleus can be described as being the ‘control centre’ of the cell as it houses the DNA (deoxyribosenucelicacid) the instructions to make you and you personal attributes but to be more specific we can say that it controls our cellular functions by regulating protein synthesis. To the left in both the image we can see the various parts of the nucleus quite clearly. RICHARD J. ALLEY. (2010). 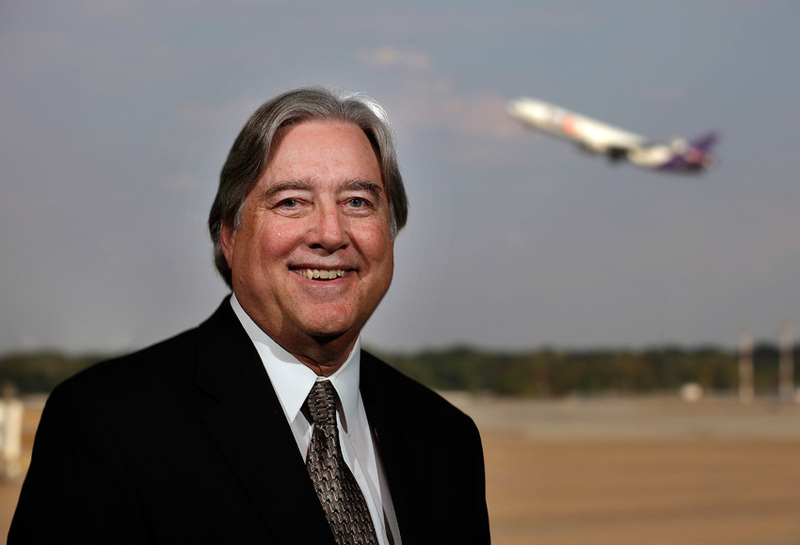 Kuhn’s Legal Career Veers to Airport. Available: http://www.memphisdailynews.com/editorial/Article.aspx?id=53654. Last accessed 12 March 2012. Just as the nucleus is the control centre of the plant cell, the board of members control what happen in the airport. From restrictions on certain types of products that can be sold in the airport to what new structure can be built in the airport, these members give the instructions and control almost every aspect of the occurrence within the airport just as the nucleus and its DNA ultimately controls the activities within a cell.